The TPPA negotiations uncovered a pool of talent among civil servants in international wheeling and dealing. It would be a pity to lose them if the Govt does not look out for them. It has been a very long journey for the Malaysian team negotiating the Trans-Pacific Partnership Agreement (TPPA) – nearly six years to be exact. Despite accusations ranging from selling the country to allegations of being unpatriotic, the team of more than 20 negotiators from various ministries – many of whom are mid-level government officials – persevered. They were tasked to negotiate for the best terms and they went to the negotiating table with a clear conscience that the Cabinet gave them the mandate. Morale was low among the negotiators with the relentless criticisms against them throughout the five years of negotiations and what they perceived as lack of support not only from the public but also from the political masters. While the leadership acknowledged the low morale episodes, the message from Putrajaya to the team was “it has to be done”. This was the biggest free trade deal ever participated by Malaysia. It was a huge responsibility on their shoulders. And to make it worse, budget constraints hindered the Malaysian team from sending more officials for the negotiating rounds. 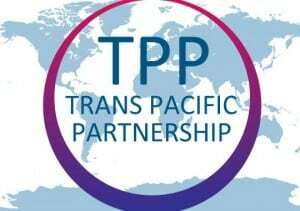 The TPPA involves 12 countries – Australia, Brunei, Canada, Chile, Japan, Malaysia, Mexico, New Zealand, Peru, Singapore, the United States and Vietnam – creating the biggest free trade area. The countries form 40% of the world economy. When negotiations concluded in Atlanta on Oct 5, the team members had mixed feelings. Yes, that painful process of negotiation had ended. Last year, they attended multiple meetings totalling 200 days. The last 72 hours of the two-week Atlanta meeting was the killer stretch – the negotiators only slept for a total of 10 hours. The pace was fast and hectic. One negotiator admitted he dozed off while taking a bath in the tub and another said he slept in his working clothes in the Malaysian secretariat room. It was not just sitting down at the table with negotiators from other countries, they also needed to update the state of play to the higher-ups back home and to get the mandate for the next action. For those dealing with more complex issues like labour and intellectual property, some negotiators readily admitted their life revolved around the TPPA and hardly had time for their own families. One negotiator said he could not return home to attend the funeral of a family member as he was away for the negotiations. Talk about dedication. Any sorrow had to be put aside for a while. Missed holidays and weekends at work were a norm. And for Muslim negotiators, they endured longer fasting hours when the negotiation rounds were held during the long summer months. They did not forget their obligations as Muslims. Since their return, the negotiators have had no break. The team led by chief negotiator Datuk J. Jayasiri had been having a string of briefings, public townhall meetings, workshops for selected industries and groups as well as visits to the states. They also had to make television appearances and do radio interviews. These briefings were important mainly because they need to reach out to the larger audience to explain that in the long run, the trade deal would benefit Malaysia. They had to allay fears and face harsh criticisms without losing their cool. Another phase for the negotiators will start tomorrow. A motion on the TPPA will be tabled in Parliament by Interna­tional Trade and Industry Minister Datuk Seri Mustapa Mohamed and will be followed with debate by 15 MPs each from Barisan Nasional and the Opposition. Jayasiri in an interview with Bloomberg TV didn’t think it would be an easy parliament debate. Barisan Nasional Backbenchers Club chairman Tan Sri Shahrir Samad said that while Barisan has the numbers for the motion to be adopted, the Government must answer the arguments well. “The BNBBC is not going to simply defend the Government. We want to know the steps to address matters that will likely crop up, like halal issues. Now we understand that it covers food and food products but what are we saying about cosmetics? Halal certification is also important,” said Shahrir. The BNBBC has been holding workshops and meetings among the MPs and senators on the TPPA to prepare them. Miti has also held special sessions for the MPs with the negotiators recently and some of the MPs were blown away by the way the negotiators answered their queries. “What was impressive were the negotiators. These government servants, they are young and they know their subjects, inside out,” said Shahrir. After the Dewan Rakyat and Senate approve the motion, the deal would be formally signed in New Zealand on Feb 4. Then all 12 countries will begin their respective domestic ratification processes which can take up to two years to complete before the agreement comes. For Malaysia, the next stage would be amending 26 laws and regulations to meet the requirements of the agreement. Of the 26, more than half are related to labour and intellectual property rights. So for the negotiators, the next 24 months would be crucial as they see the results of their labour finally come into fruition. Let’s just hope they can still keep the momentum of their enthusiasm and get the support from all quarters. And importantly, the recognition that is due to them from the Government. It will be a great loss if the Government loses any of these civil servants as Malaysia has a dearth of experienced negotiators. They did their best despite the challenges. And the result? The formation of a close-knit, well rounded multi-racial team of negotiators. Many may not know this. With the experience gained, such negotiators are much sought after for their expertise. More trade deals are in the offing, including the Regional Comprehensive Economic Partnership and Malaysia-European Free Trade Agreement. The challenge now is for the Government to keep this pool of talent within the service. KUALA LUMPUR: International Trade and Industry Minister Datuk Seri Mustapa Mohamed became the ultimate salesman for the Trans-Pacific Partnership Agreement (TPPA) when he tabled the motion at a special Parliament sitting on Tuesday. Mustapa, fondly known as Tok Pa, physically showed the lawmakers some of the items which would benefit either from the lower, or zero taxes once the trade agreement comes into force. He took the Dewan Rakyat by surprise as he held up spring coil, cable, long pants and gloves. “This pair of pants currently has 20% tax imposed on it. Once the TPPA comes into force, there will not be any taxes imposed,” said Mustapa. He said three main industries, namely electrical and electronic, textile and automotive, will benefit from the TPPA. He said the reason why Malaysia decided to join the TPPA was because the nation did not have any Free Trade Agreements (FTA) with the United States, Canada, Mexico and Peru. Mustapa added the US is one of the biggest economy powerhouses and the TPPA would give an opportunity to local companies to penetrate its market. “The import duty for electrical and electronic items from Malaysia to penetrate the US market is 5% on average. “With the TPPA, the duty for 99.8% of electrical and electronic products will be lifted. “This will benefit the local companies to increase investment. Through this investment, we expect job opportunities and export to also increase,” he added. For the textile industry, Mustapa said the import tax on products would reduce by 70% in the first year. He added that local textile and garment companies predict that the TPPA will help increase export by 30%. The Government also felt that Malaysia, despite not being a main player in the automotive industry, has potential under the TPPA. “By abolishing the duty and rules of origin which require automotive makers to receive input from TPP countries, these (automotive) components can be exported to countries such as Canada, US, and Mexico, as well as increase job opportunities,” he added. Mustapa also dismissed allegations by some critics on the TPPA including those who said that some states will not be able to declare Friday as a weekly off day. “There are some who say that the TPPA will force shops to be open from noon to 3pm on Fridays and businesses may be fined if they are closed during these times. “Clearly these are allegations from individuals who do not understand TPPA at all,” said Mustapa. He explained that the TPPA involves 12 countries including Islamic countries such as Brunei. Malaysia, said Mustapa, has also been given the green light to continue using the halal certification system that is acknowledged by the Malaysian Islamic Development Department (Jakim). Mustapa also took to task a writer from a local university who published a book on the TPPA using the picture of a pig on the front cover. This, he said, was an irresponsible act by a learned person.